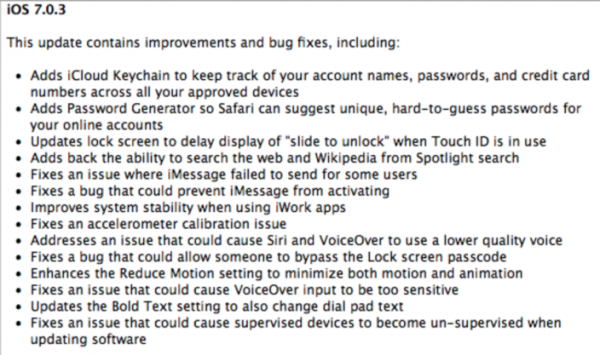 Apple just released iOS 7.0.3 to fix some bugs and provides iCloud Keychain support. Potential iOS 7 Jailbreakers should stay far away from this update for now. It too early to tell if it closes anything potentially important for a possible jailbreak.